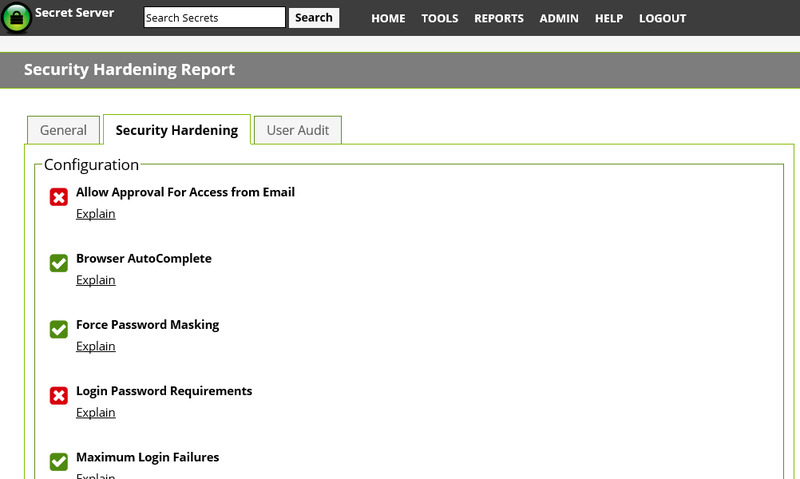 Secret Server’s Security Hardening Report checks aspects of your Secret Server configuration to ensure security best practices are being followed. You can configure Secret Server password management software to achieve your ideal balance between convenience and security. Although Secret Server will run with all the security settings failing, it’s important to be aware that this level of convenience can lower security. Try Secret Server FREE for 30 days by completing the form on the right. It comes with full support! Or, browse Secret Server’s other security features. They’re continually improved based on feedback from frequent users, so IT Admins love them.